WANT TO BUY OR SELL A NEVADA MEDICAL MARIJUANA BUSINESS? If you are interested in starting a medical or recreational marijuana cultivation and/or production business or even a retail establishment in Las Vegas or elsewhere in Nevada – or if you want to sell your existing MME license or business – we can help! As of today, (December 2016) there are no licenses available for recreational establishments- yet. Once the recreational law goes into effect in Nevada in January 2017, the Department of Taxation will have one full year to promulgate regulations which will govern both the application process and the functioning of such businesses. Once those regulations are in place, the State can start accepting applications. However, only existing Medical Marijuana Establishments (MME’s) will have the right to apply for these coveted licenses in the first 18 months. Thus, if you want to get into the recreational field sooner than later, it’s best if you have an existing MME right now. Further, if you ever want to open a recreational retail business in Nevada– you almost certainly will need a medical cultivation, production or dispensary license to apply. This is because only 80 recreational retail licenses will be issued in Clark County (Las Vegas). Of those, 40 will almost certainly go to the existing medical dispensaries through a provisional licensing procedure contemplated to go online in early summer of 2017. The remaining 40 will then be fought over by other existing MME’s such as cultivators and processing kitchens. So, if you a want chance at a retail license, you’d better have an MME functioning before the application process begins. The problem is, all the MME licenses were issued by the Department of Health back in 2014- and no new licenses are currently scheduled to be issued, and its possible no new licenses will ever be issued. But, luckily, a law change in 2015 made the previously issued licenses transferable, meaning you can buy one from or partner up with a current licensee. While nearly 200 cultivation(grow) and production (kitchen-edibles and concentrates) licenses were issued in 2014, for various reasons, only a fraction are currently in use. Some of these unused licenses are available for sale while others simply need a capital infusion or technical expertise to get off the ground. Finding these is difficult. This is where we can help. Through our practice and contacts in the industry, we regularly meet people seeking and selling licenses and we have been successful in bringing them together. We can also handle the regulatory hassles in transferring ownership, in whole or in part, with the state and local governments. If you are a serious buyer and are well capitalized or are a current holder of a license who is either struggling to get off the ground or wants to cash out- call us and let us get you on track immediately. Presently in his 25th year of practice, founder John Henry Wright, Esq., is peer rated A/V by Martindale & Hubble as “Preeminent” in the fields of Criminal Law and Commercial Litigation, but it is also our unique perspective and experience that sets us apart. THE WRIGHT LAW GROUP, P.C. 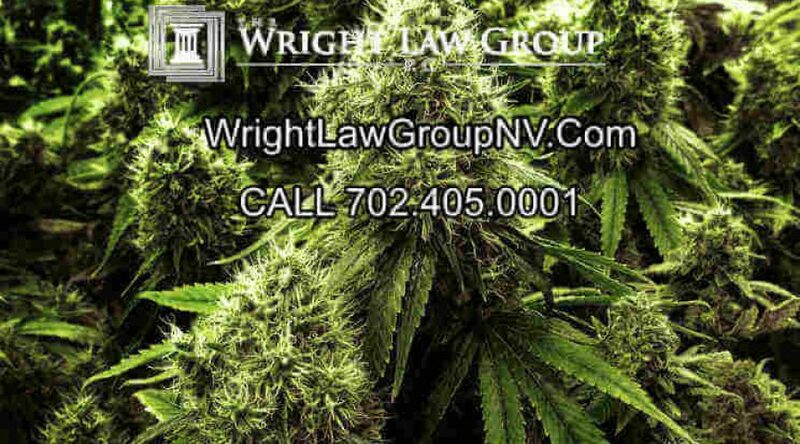 is up to date to on all the current laws, statutes, and regulations involving medical and recreational marijuana in Nevada. Call us at (702) 405-0001 or Email Us. We are available 24/7.